Well, lesser flack. 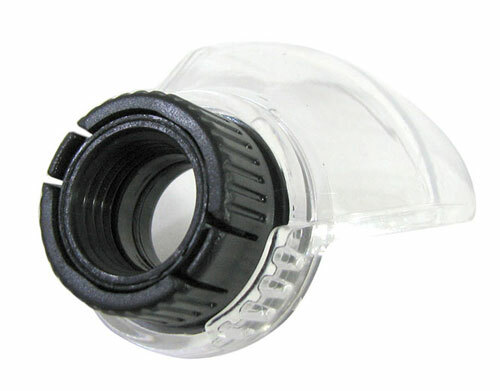 Mount this clear plastic shield over the chuck of your rotary tool and watch it keep dust, chips, shards and other debris out of your eyes and nose. Measures 2” x 1-1/4” with a 5/8” dia barrel. Works great with our 92283 rotary tool. 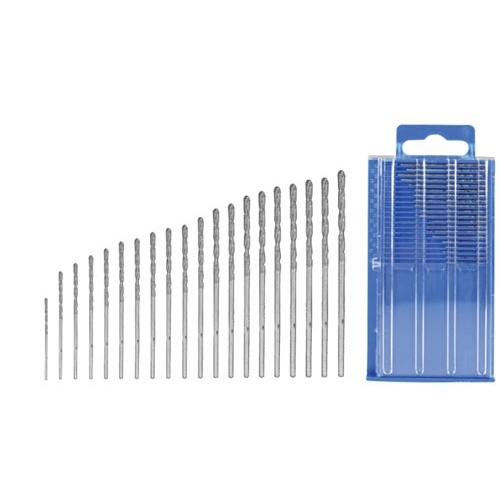 When you need to drill itsy-bitsy teeny-weeny little-bitty small holes, break out this 20-piece set of wire-gauge drills in diameters from .012" to .037". 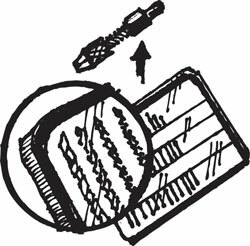 No, they won't work in a standard collet, but we'll send a micro-chuck with a 1/8" shank along with the drill set. We think of everything! 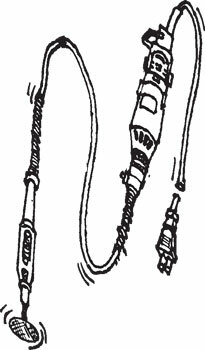 For bigger, or longer, projects, and hands-free operation. 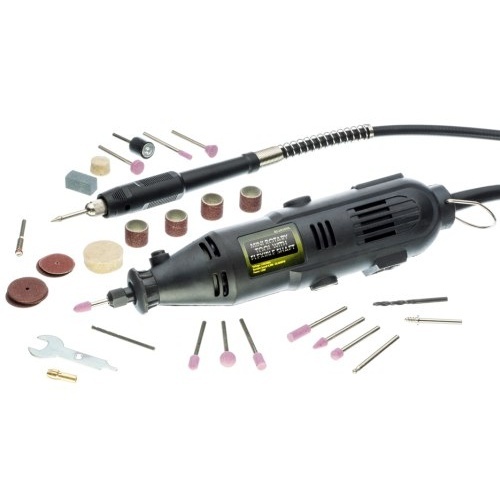 This 1/4-hp flex-shaft grinder has a 42" long (counting the chuck) flexible shaft, a keyed chuck that accepts bits up to 5/32", a variable-speed control foot-pedal power switch, and a comfortable 1" dia hand grip. 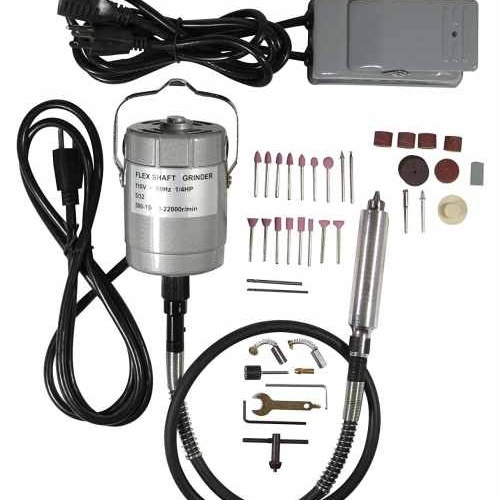 The motor runs 500 to 22,000 rpm, operates on 120VAC, measures 3-1/4" dia x 4" long, and has a sturdy hook to hang it from an over-the-bench shelf. Intermittent duty. 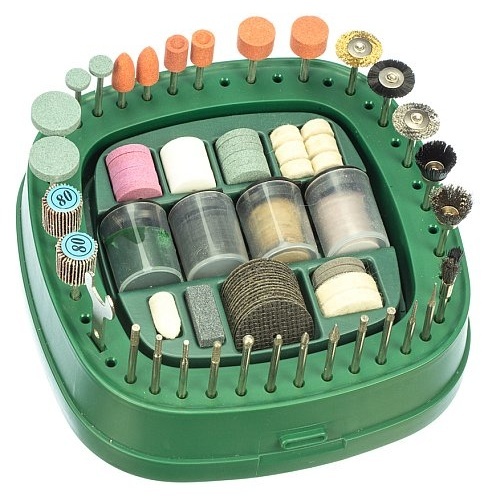 Over 25 grinding tool accessories included! A great hand held rotary tool and an excellent buy. 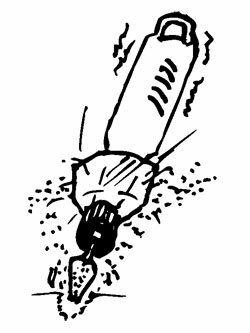 The plastic carrying case at 12" x 8-1/2" x 3-1/2" contains not only the 120VAC-powered variable speed (8,000-30,000 rpm) mini drill/grinder, but a 3-ft flexible extension shaft that allows you to operate in even the tightest spots and a good assortment of bits, grinding stones, cut-off wheels, etc, including collets to fit 1/8" and 1/16" bits. 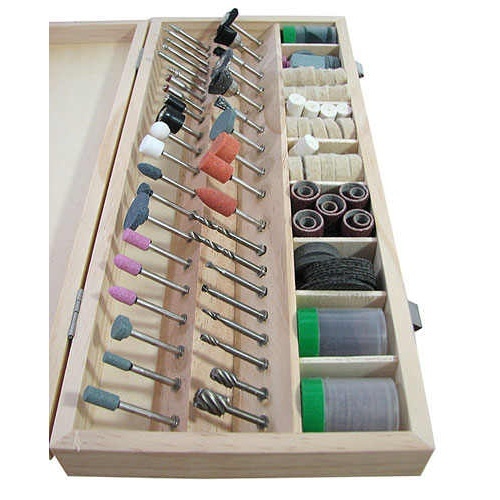 A nice package, and a very nice gift for yourself, or for anyone who enjoys working with hobby tools. UL listed, just like the big boys. 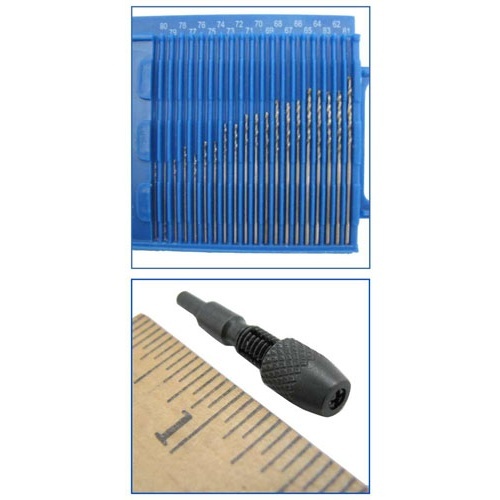 Check out all our rotary tools and accessories. Click! 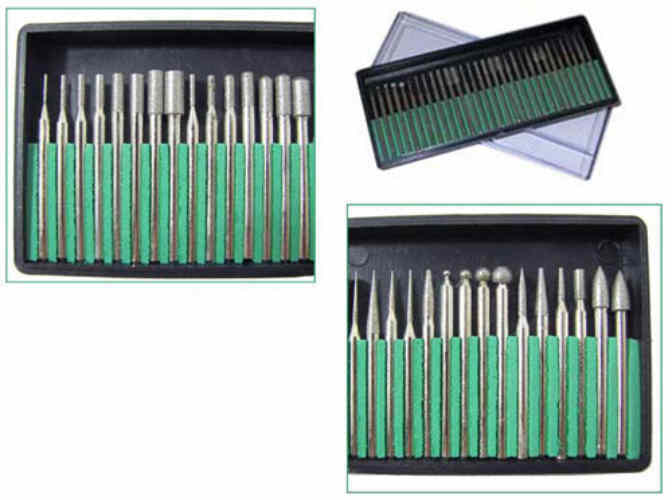 Diamond point bits that, if used by your dentist would send you through the roof. 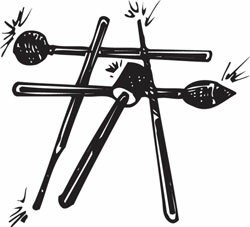 The assortment of bits includes cylinders, cones (points), balls and a couple of special shapes all in a variety of sizes. 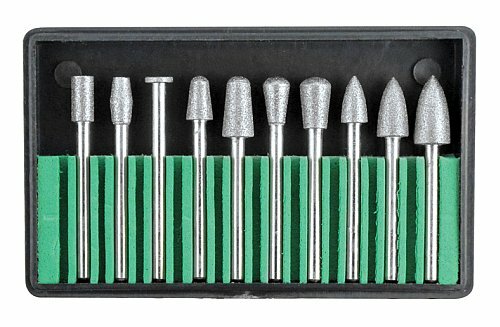 This set of (10), each has a 1/8" dia. shank and is about 1-3/4" long OA, with larger size bit heads. Both come in plastic cases. A craftsperson's delight!! 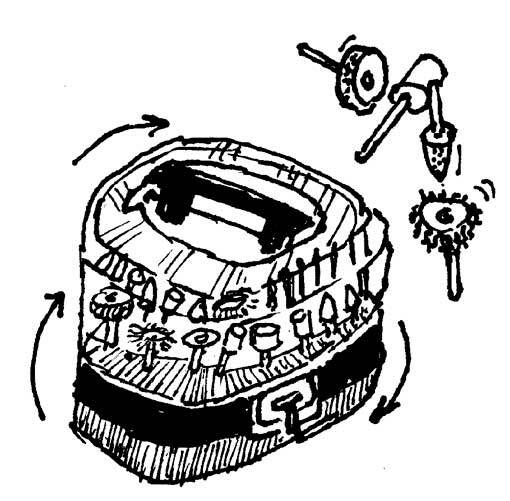 And a rotary tool for every turning. 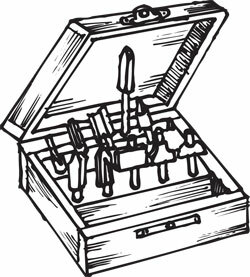 This is our compactest compact set of rotary tool accessories, all in a carrying case that you can actually carry. 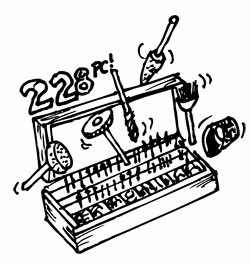 Includes a staggering (276) pieces with standard 1/8” shanks, including a plethora of polishing wheels, a bunch of belts, brushes and burrs, a gaggle of grindstones, and a ton of tips, plus flap-wheels, collets, mandrels and a wrench. 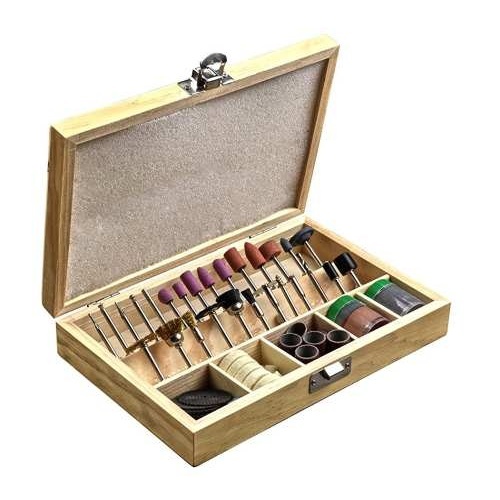 All of them are in a 7" square x 4-1/2" case with a clear lid and a lazy susan for your tool-selecting convenience. 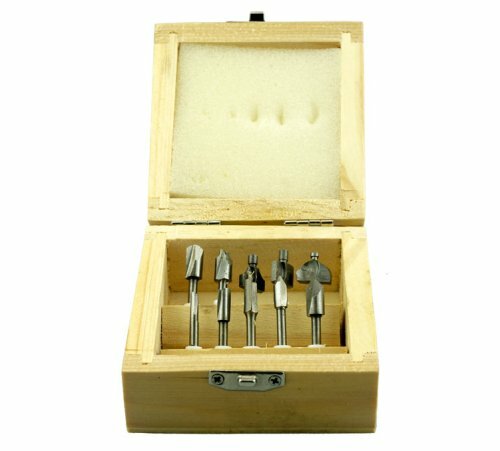 If you’ve maximized the value of your Dremel–type tool (1/8” shank) with a router attachment, we can offer you a great set of mini router bits. Our set of (10) comes in a nice wooden box with a hinged lid. 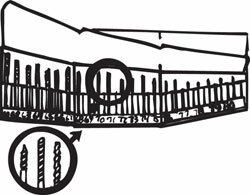 It includes 1/8”, 3/16” and 1/4” straight bits; 3/16” and 1/4” points; concave, convex and straight edge bits; a 1/4” round–nose bit; and a 1/4” groove–cutting bit that is flat on the bottom and curved on the sides. Just enough to give you a little edge on other hobbyists.